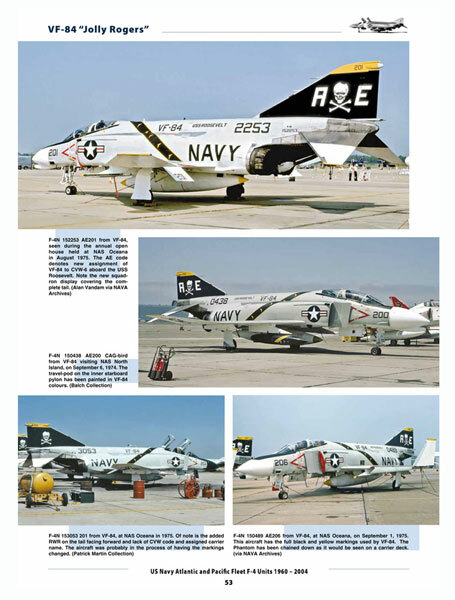 An excellent book indeed and it also has the advantage of being written post the withdrawal of the F-4 from US Naval aviation and as such it captures the whole picture. 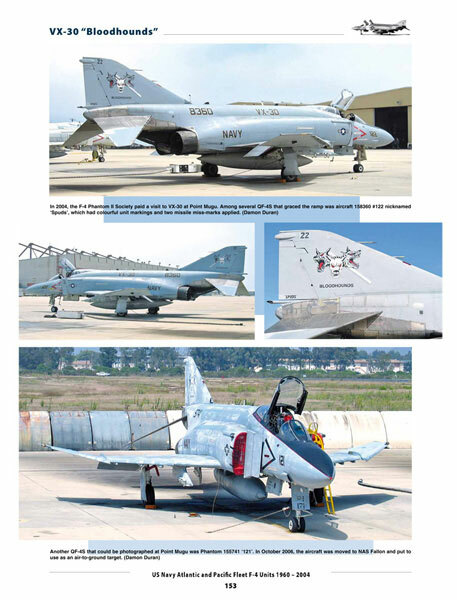 The book is logically laid out in that its first seven pages provide you with background information on the development of the F-4 and its lineage with brief descriptions of each different type from the two prototype F-4 H-1 machines through to the F-4S. It also provides you with explanations the air wing identification code letters, the colours assigned to the fighter squadrons, as well as a run down on the why, what and where of the modex numbering system. 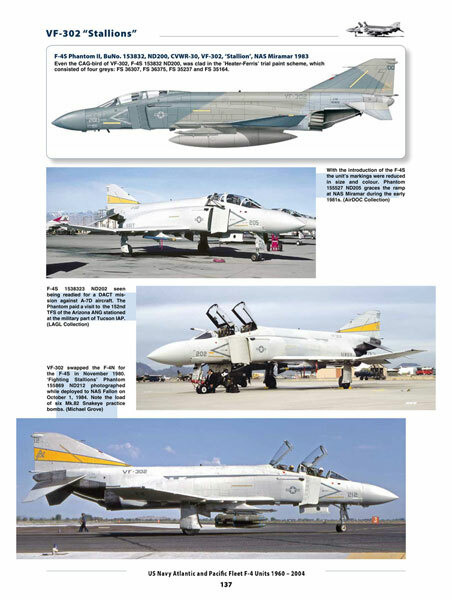 A précis of the colours worn by the F-4 in its life is provided with each of the (main) colours being referred to by its Federal Standard number as well as its given name. 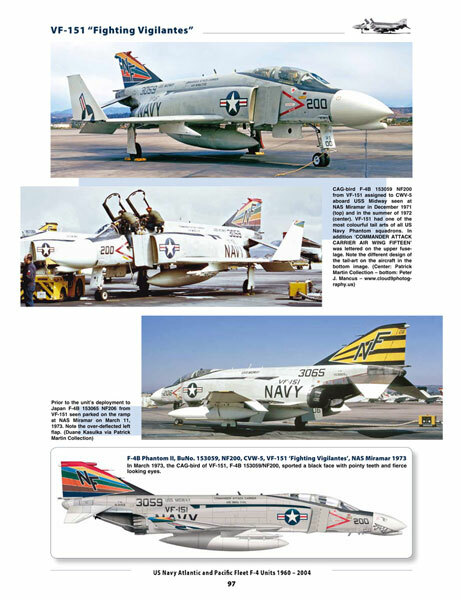 The following 151 pages are devoted to the coverage of each of the squadrons that operated the F-4. 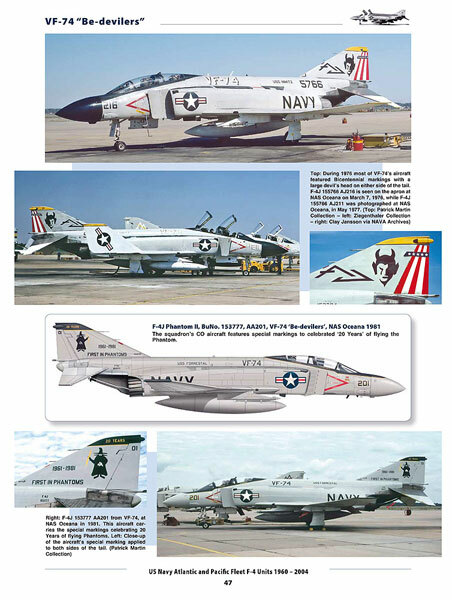 This is done by providing (generally) a half to three quarter page of text that provides a history of the squadron and its usage of the F-4. Following the history, you are provided with between one to four pages per squadron that contain previously unpublished photographs as well as colour profiles and images of the squadron’s insignia and its patches. 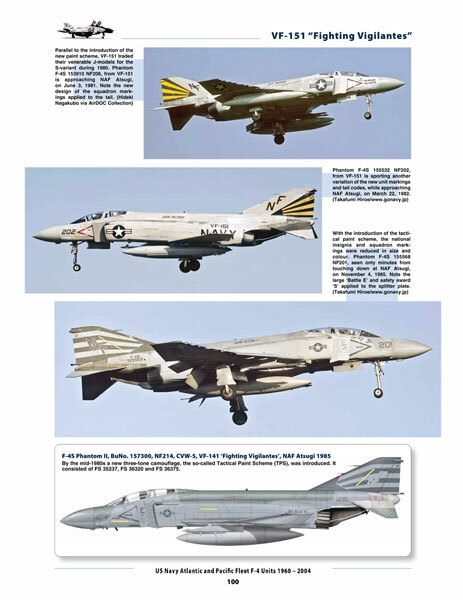 The number of pages varies considering that some units operated several different versions of the F-4. 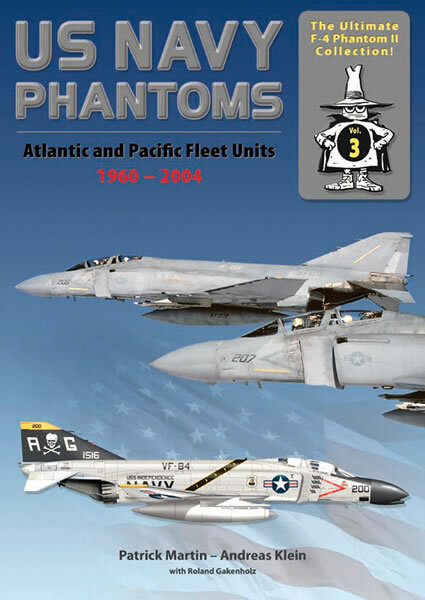 I have commented before on the quality of the previous volumes in Double Ugly’s Phantom Collection and I make the same comments with this latest volume, the overall high quality of the glossy paper used, the manner in which the pages are laid out, as well as the superb sharp, clear full colour images is outstanding. Whilst other books from AirDoc have been published with text in both the German and English languages, this one is English text only. The book is hard back bound, A4 in size, and comprises 160 pages in all that hold over 350 exceptional full colour images (there are no black and white images at all). 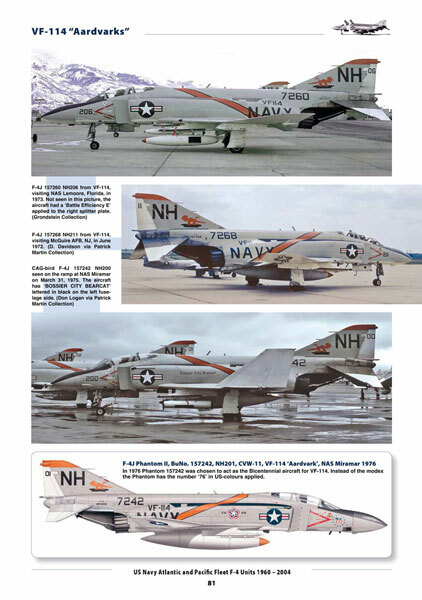 Modellers of the F-4 beware though that you will soon be searching through your stash and dragging out your F-4 kits and aftermarket accessories once you open its pages! Thanks to AirDOC Publications for the sample.